The segment below is a continuation after the section – MIND – on BASIC FRAMEWORK page. Connect the above to Ron Hubbard’s description of how the mind works: he was describing a neural network but with using a computer analogy. This is quite impressive considering that Hubbard first published Dianetics in 1950 long before the advance of personal computers and when the concept of a “neural network” was still in its infancy (link / archival screenshot). The following text has been extracted from Dianetics: The Modern Science of Mental Health (ISBN: 0-88404-000-3; 1976 printing). 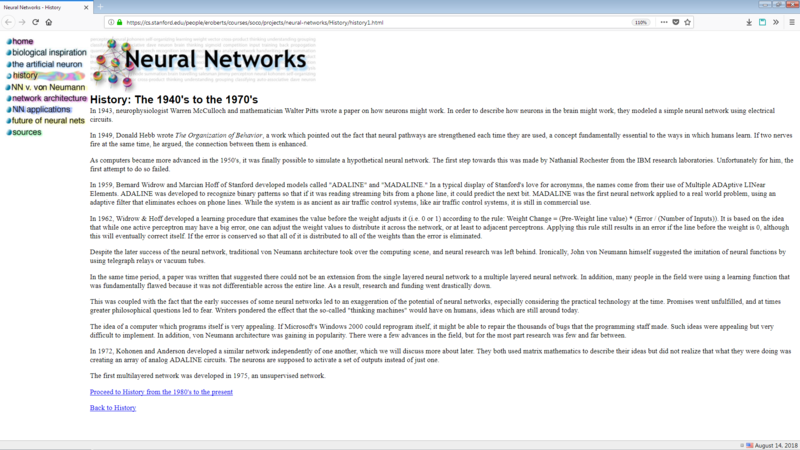 Note, the italicized text in square brackets was inserted for information purposes; it does not appear in the original text. The analytical mind has its standard memory banks. Just where these are located structurally is again no concern of ours at this time. To operate, the analytical mind has to have percepts (data), memory (data), and imagination (data). There are another data storage bank and another part of the human mind [the reactive mind] which contain aberrations and are the source of insanities. These will be fully covered later and should not be confused with either the analytical mind or the standard memory banks. Whether or not the data contained in the standard memory banks is evaluated correctly or not, it is all there. The various senses receive information and this information files straight into the standard memory banks. It does not go through the analyzer first. It is filed and the analyzer then has it from the standard banks. There are several of these standard banks and they may be duplicated in themselves so that there are several of each kind of bank. Nature seems generous in such things. There is a bank, or set of banks, for each perception. These can be considered racks of data filed in a cross-index system which would make an intelligence officer purple with envy. Any single percepti is filed as a concept. The sight of a moving car, for instance, is filed in the visio-bank in color and motion, at the time seen, cross-indexed to the area in which seen, cross-indexed to all data about cars, cross-indexed to thoughts about cars, and so forth and so forth with the additional filing of conclusions (thought stream) of the moment and thought streams of the past with all their conclusions. The sound of that car is similarly filed from the ears, straight into the audio-bank, and cross-indexed multitudinously as before. The other sensations of that moment are also filed, in their own banks. Now it may be that the whole filing is done in one bank. It would be simpler that way. But this is not a matter of structure but mental performance. Eventually somebody will discover just how they are filed. Right now the function of filing is all that interests us. Every percept—sight, sound, smell, feeling, taste, organic sensation, pain, rhythm, kinesthesia (weight and muscular motion) and emotion—is each properly and neatly filed in the standard banks in full. It does not matter how many aberrations a physically intact person has or whether he thinks he can or cannot contain this data or recall it, the file is there and is complete. This file begins at a very early period, of which more later. It then runs consecutively, whether the individual is asleep or awake, except in moments of “unconsciousness,”* for an entire lifetime. It apparently has an infinite capacity. The numbers of these concepts (concept means that which is retained after something has been perceived) would stagger an astronomer’s computer. The existence and profusion of memories retained were discovered and studied in a large number of cases, and they can be examined in anyone by certain processes. Original Footnote: *”Unconscious” throughout this work means a greater or lesser reduction of awareness on the part of “I”—an attenuation of working power of the analytical mind. You are looking at the brain after a stimulus and it has this activity pattern and somehow it should be encoding information about what came in and then coming to some sort of decision about what to do next. Postulates are made because of evaluations. Postulates ordinarily do not lift unless the reason why is also contacted. This is brief but very important. Drawing an analogy between a computer and human mind may have provided a workable model allowing for Dianetic therapy to develop, but the model may nevertheless be flawed because the human mind is not a computer. While a computer can surely record and store data with exactitude, this may not exactly be the case with the human mind. There is no evidence to support this notion, and there is really not even a need to record everything exactly as it is. The human mind collects and utilizes information to allow an organism to operate effectively in the world so information processing needs to be workable and practical, usable for survival but not necessarily “exact.” In fact, one of the difficulties in emulating human intelligence with a computer is precisely this difference – that a computer cannot easily “generalize” but must deal with exactitudes which requires much more resources, processing power and programming. Plus, the very basis of perception construction by the mind (see the section on perception below) is TRANSLATING one thing into another such as in translating sensed waves of electromagnetic radiation into colors or sensed vibrations of air particles into sounds, and then combinations of sounds into words such as the case with verbal language. That is, the mind GENERATES INFORMATION about the world, not just “records.” This, it seems, was never fully considered by Ron Hubbard in his model – the fact that everything the mind perceived to be reality is created by the mind itself through a complex process of information processing. The quality of that INFORMATION PROCESSING must be taken into account for a proper view of what ends up being stored in the mind as a final result. It is the very reason that different people with different information processing capabilities, can “recall” the same even in different ways – because whatever information that was “stored” by the mind about some given event is the information that was generated by the mind itself. In such a way, someone who was suffering with delusions, for example, or some other form of mental aberration could end up “recalling” things that were not actually there or in a way that is not aligned with the actual reality of something. In January 2008, the BBC aired a Horizon special entitled “Total Isolation”. The premise of the show centered on six individuals, four men and two women, agreeing to be shut in a cell inside a nuclear bunker, alone and in complete darkness for 48 hours. Prior to isolation, the volunteers underwent tests of visual memory, information processing, verbal fluency and suggestibility. The segment below is a continuation after the section – PERCEPTION – on BASIC FRAMEWORK page. Obviously, anyone familiar with Hubbard’s book Science of Survival will recognize the striking parallels between some of the concepts in that book and some of the ideas expressed by Anil Seth in his video. Particularly, Anil mentions the concept of a life force, “elan vital,” which is at the core of Hubbard’s “Theta-MEST” theory. An examination of existence and the fondest hopes to which man has clung discovers for us the possibility that the energy of life is a different thing from the current flowing in a power line or the energy radiated by atomic fission. It is not necessary to have a vast knowledge of physics to conclude that life is something more than a mechanical contrivance rigged out of atoms and chemicals. In the first place, it follows only a few of the electromagnetic-gravitic laws and at best only vaguely parallels these. Life has its own performance rules. Let us call this life energy by a symbol in order to identify it. We will assign to it the Greek letter theta and distinguish it as an energy existing separate and distinct from the physical universe as we know it. The physical universe would be the universe of matter, energy, space and time. It would be the universe of the planets, their rocks, rivers, and oceans, the universe of stars and galaxies, the universe of burning suns and time. In this universe we would not include theta as an integral portion, although theta obviously impinges upon it as life. From the first letters of the words matter, energy, space, and time, we can composite a new word: MEST. As soon as we separate the two entities, a host of problems heretofore quite complex resolve into simplicity. Theta, we could say, comes from the universe of theta, which is different from the MEST universe. Theta has its own matter—ideas; it has its own energy and the characteristics of that energy; it has its own space of operation, as distinct from MEST space; and it has its own time. Anil also states something about the nature of reality that sounds almost straight out of Science of Survival. Now, think about this for a minute. If hallucination is a kind of uncontrolled perception, then perception right here and right now is also a kind of hallucination, but a controlled hallucination in which the brain’s predictions are being reined in by sensory information from the world. In fact, we are all hallucinating all the time, including right now. It’s just that when we agree about our hallucinations, we call that reality. What we conceive to be reality is actually agreed upon perception of the physical universe. There is an endless philosophic wrangle as to whether or not our perceptions perceive anything, or whether or not our perceptions are merely an illusion themselves. True enough, the physical universe can be reduced down to zero mathematically. Matter, energy, space and time could be said to be the result of certain motions. The moment we go off into the by-road of wondering whether the physical universe is real or not we come rapidly upon many philosophic imponderables. What we know as reality, however, is an agreed-upon conception of the physical universe in which we live. You and I agree that a table exists in the center of the room; we can see it, and feel it, and when we rap it with our knuckles we can hear that something is there. You and I have agreed upon the reality of the table, mainly because each of us agrees that he perceives it via his senses. Should someone come up and say that not a table but a black cat stood there, you and I would consider the man mad. Indeed, by a sort of natural selection we remove such “madnesses” from our society. When someone is in disagreement with the majority as to the sense perceptions of the physical universe, the first reaction of the majority is to have this person pronounced mad and locked up. Locked up, he does not procreate and so breaks the genetic line. This happens often enough to select out of the human race those who do not agree on the nature of the physical universe via sense perceptions. Many amusing and entertaining postulates can be formed on the subject of reality. Hubbard, of course, took this notion way too far with the subject of Scientology where he asserted that there is not actual existence to reality at all [see quotes from Scientology 8-8008 below]. This is a very dangerous “philosophical road” to travel since “agreement” is not the basis of reality, nor is it even the basis of perception. The basis of reality is something in its actual FORM OF EXISTENCE that can be contacted – such CONTACT then, and INTELLIGENT INFORMATION PROCESSING based on that contact, is the basis of PERCEPTION – which can be generally understood as a vision and understanding of the reality of something formulated by the mind. 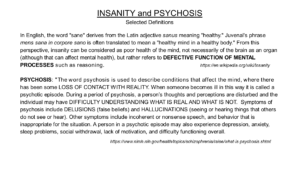 When contact with reality is lost, and “agreement” is emphasized instead, such as what occurred in Scientology, the development of individual and collective delusions may be the final result – a state of mind which is recognized under the term PSYCHOSIS. “Thetan” is a Scientology term for the individual as a “unit of consciousness” apart from the body. The MEST universe, according to any computation one cares to make upon it, is found to consist of a high-level agreement amongst us. Those who disagree with the MEST universe are punished by the MEST universe. (p.27) Universes: A universe is defined as a “whole system of created things.” There could be, and are, many universes, and there could be many kinds of universes: we are for our purposes here interested in two particular universes. The first of these is the MEST universe, that agreed upon reality of matter, energy, space and time which we use as anchor points* and through which we communicate. The other is our personal universe which is no less a matter of energy and space. These two universes are entirely distinct and it could be said that the principal confusion and aberration of the individual stems from his having confused one for the other. Where these two universes have crossed, in the mind of the individual, we find a confusion of control and ownership for the reason that the two universes do not behave alike. (p.29) It is one of the operations of the MEST universe that it is a jealous universe and those who are thoroughly imbued with the principles of the MEST universe have even as their best efforts the goal of eradicating one’s own universe. A control operation begins early in the life of almost every man, whereby his imagination is condemned. His own universe is not imaginary, but it may be said to be so and if his imagination is condemned, then he loses his ability to garnish the hardness and brutality of the MEST universe with hopes and dreams. When he loses this he becomes a slave of the MEST universe, and as a slave he perishes. His road to immortality lies, then, in another direction than in the complete subservient agreement with the MEST universe and the handling and conversion of its forces. This is a matter which has been subjected continuously to test and it is intensely surprising to people to discover that the rehabilitation of their creative ability, their own space, their own images, rehabilitates as well their ability to confront the MEST universe with a strong and ethical face. Creative processing, especially where it divorces all thought from thought of the MEST universe and follows out along a line of the rehabilitation of one’s own universe without attention to the MEST universe, is one level of processing which produces magnificent results and which is a standby in any case, no matter how difficult. On the other hand, the rehabilitation of the MEST universe itself, in the concept of the individual, accomplishes a very great deal in processing, and could be said to compare with the rehabilitation of one’s own universe; but the rehabilitation of one’s ability to perceive the MEST universe is dependent upon his ability to perceive present time and the rehabilitation of that ability. Dwelling upon the MEST universe past or its future is fruitless, thinking about the MEST universe, attempting to predict the MEST universe, planning to reorganize and handle the MEST universe, all defeat one’s ability to handle the MEST universe. When he simply begins to perceive the MEST universe in present time and to examine that which he sees, with the idea that he can be what he sees, he loses all fear of the MEST universe. There is a differentiation process in one’s own universe, a differentiation process exclusively for the MEST universe and a differentiation process which pulls apart one’s own universe and the MEST universe. The first of these processes simply goes about reconstructing one’s own universe with no attention to the MEST universe. The second causes the individual to contact the MEST universe present time and to observe that present time continuously. The third differentiates between the MEST universe and one’s own universe and consists of “mocking-up” one’s own universe duplicate of every MEST universe object he can perceive, and then actually comparing these one against the other. Creating space and mocking-up items in it is the rehabilitation of one’s own universe and is a primary process. Differentiating between two similar objects in the MEST universe such as two books, two chairs, two spaces, with one’s MEST eyesight, accomplishes much in being able to face and handle the MEST universe. The original definition of Scientology 8-8008 was the attainment of infinity by the reduction of the apparent infinity and power of the MEST universe to a zero for himself, and the increase of the apparent zero of one’s own universe to an infinity for oneself. This is an ideal and theoretical process, it is not necessarily attainable in actuality or reality but it very well may be. It can be seen that infinity stood upright makes the number eight: thus, Scientology 8-8008 is not just another number, but serves to fix into the mind of the individual a route by which he can rehabilitate himself, his abilities, his ethics and his goals. (p.35) When an individual’s ability to create his own universe is rehabilitated it will be found, strangely enough, that his ability to handle the MEST universe has been rehabilitated. In fact, this is the most secure route as represented in 8-8008 as a road. By actual experiment it can be demonstrated that one’s ability to mock-up a universe of his own and the resulting improvement of his perceptions to that universe bring about an ability to perceive the MEST universe. Indeed, it might be inferred as something like a proof that the MEST universe in itself is an illusion based upon agreement in view of the fact that the rehabilitation of the ability to view illusion rehabilitates the ability to view the MEST universe. (p. 62) Truth-Hallucination: The highest one can attain to truth is to attain to his own illusions. The lowest one can descend from truth is a complete acceptance of MEST universe reality, for this below a certain level becomes scrambled and brings on the condition known as hallucination. Hallucination is not self-generated; it comes about only when a person is an effect to such an extent that he is almost dead. What is commonly believed to be truth is agreement upon natural law. This would be the truth of the MEST universe which would be the lowest common denominator of agreement upon any one subject. Where the MEST universe is concerned, acceptance of such truths is dangerous. In Scientology one is studying the lowest common denominators of agreement which bring, about an acceptance of the MEST universe and prohibit the creation of one’s own universe, which latter ability alone makes possible perception of the MEST universe which is itself an agreed-upon illusion. Truth in Scientology is the study of the lowest common denominator of agreement, plus the establishment of the true ability of the thetan. The true ability of the thetan is a truth much higher than the truth of the MEST universe itself and, if it has ever before been known, the difficulties of communicating it have been such as to inhibit its promulgation. It can be seen there is truth above what passes for “truth” in the MEST universe. Scientific truths gained from deductive observations of behaviour of the MEST universe are themselves manifestations of agreements on the part of beings —thetans—who are capable of much wider creation and agreement than that represented in the MEST universe. (p. 106) Creative Processing: In truth, all sensation which he believes to come from these masses of illusory energy known as the MEST universe, are first implanted through agreement upon what he is to perceive and then perceived again by himself, with the step hidden that he has extended his own sensation to be felt and perceived by himself. He is fully convinced that the MEST universe itself has sensation which it can deliver to him, whereas all the MEST universe has is an enforced agreement which though of no substance, yet by a gradient scale came to be an illusion which seems very masterful to a preclear. To prove the reality and solidity of the MEST universe, the preclear could pound his fist upon a desk and demonstrate that his fist had met something. He is making again the error of implanting sensation and not knowing he has implanted it, for the fist which he pounds on the desk is a MEST universe fist consisting of MEST universe energy, which is itself a MEST universe agreement, and it is meeting a desk which is MEST universe; he is only demonstrating that when the MEST universe is perceived to impact upon the MEST universe, one can then implant a realistic impact and perceive it for his own wonderful edification. Reality, then, is a delusion because it is one’s own illusion which has been disowned by one and is then received by one as being another thing. KEY ANALYTICAL POINT: Hubbard conflated PERCEPTION and REALITY. PERCEPTION is a vision and understanding one forms of the reality of something, but REALITY is the actual EXISTENCE that is being contacted in forming perception to begin with: perception is the vision that one forms when looking at something—that something which is being looked at is the actual reality of something. Scientology 8-8008 was the basis of the practice of Creative Processing where people would practice creating realistic visions/projections/hallucinations – “mock-ups” – of various objects and environments. This exercise in imagination had an effect of improving people’s perception, as Hubbard noted, but it’s not because the “MEST Universe” is itself an illusion, but simply because imagination, or “picturization,” is one of the fundamental components in the process of constructing perception. So when someone improves their skill of imagination, of course it would lead to improvement in perception: as perception itself is a form of specialized imagination – imagination that is based on sensory information. But since people experienced great advances in ability, at least initially, such advances (“gains” or “wins” in Scientology terminology) served to validate the overall “philosophical construct” which actually worked to disconnect Scientology adherents from contact with reality in the long run especially when later methods were introduced that directly worked to block the development of thought and perception (see: Overt-Motivator Sequence and Withholds). Some form of Creative Processing can still be very beneficial, if based on the correct theoretical framework presented in this upgrade. (p.48) The first part of Opening Procedure by Duplication is to get the preclear to examine, communicate with and own two dissimilar objects. These objects are then placed several feet apart and at a level so that the preclear can pick them up without bending over, but so that he has to walk between them. Once the auditor is entirely satisfied that the preclear has reality on these objects and can own them he then begins Opening Procedure by Duplication with the following commands, supposing that one of the objects was a book and the other was an ash tray, ‘Go over to the book’, ‘Look at it’, ‘Pick it up’, ‘What is its colour?’ At this point the preclear must give an answer. ‘What is its temperature?’, here the preclear must answer again. ‘What is its weight?’, here again the preclear must answer. ‘Put it down in exactly the same place.’ When the preclear has executed, ‘Go over to the ash tray’, ‘Look at it’, ‘Pick it up’, ‘What is its colour?’ the preclear says his answer. ‘What is its temperature?’, the preclear says his answer. ‘What is its weight?’, the preclear says his answer. ‘Put it down exactly in the same place.’ When the preclear has executed, ‘Go over to the book’ and the same words and the same formula are used over and over again until the preclear has had a sufficient number of hours of Opening Procedure by Duplication to enable him to do it without communication lag [note: can be understood as hesitation], without protest, without apathy, but only cheerfulness, each time seeing the items newly. This is a process which is done by the hour. The process is better when done consecutively for so many hours rather than done an hour apiece each day for several days. This seemingly simple exercise could produce great gains for the very reason that it exercised the perception formula (described in the slides above) in exercising SENSATION (contact), PICTURIZATION (imagination of realities one is contacting), and CONCEPTUALIZATION (through the use of language) with an added component of COMMUNICATING ABOUT what one was contacting and forming perception of in reality. Exercising CONTACT with reality and COMMUNICATION ABOUT it enhanced people’s ability for constructing perception based on such contact which is the very basis of sanity: being able to form perception of reality based on observations and reasoning. [This is a functional definition of “sanity” developed for this project. 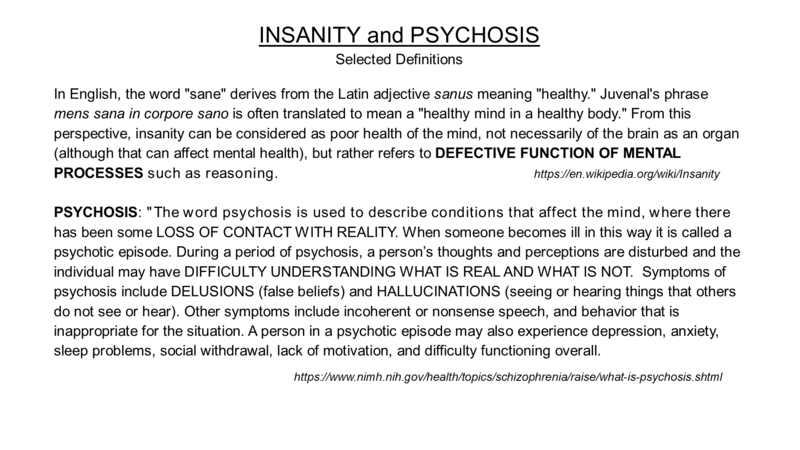 See: SANITY AND INSANITY]. There are a great number of different processes in Scientology which need to be evaluated within the new framework described on this page. Obviously, any policy, theory, or method that works to subvert or somehow inhibit the freedom and development of thought and speech (such as byff suppressing “critical” thoughts and statements about Scientology or any persons in Scientology), block contact with reality (such as in prohibiting contact with persons and information critical of Scientology), or interfering with person’s ability to form perception through one’s own CHOICE and SELF-DETERMINATION – any such policy, theory, or method should be abandoned. You perceive the physical universe because you CHOOSE to perceive it. There is a CHOICE in the perception of something. It means if you SEE the physical universe as some kind of a barrier to your expansion, you have to recognize that in a way you have to reconsider the CHOICES of perceiving the physical universe in the way that you perceive it. In other words, your consciousness is not limited by the four walls of a room where you may be located, but it could seem that way if you have formulated such perception that the walls of a room limit your expanse of consciousness and awareness. Even on a bigger level of “OT” abilities, it comes down to how perception of realities is constructed. [“OT” stands for Operating Thetan: someone who can operate as a consciousness apart from the body.] You see this reality because that’s the reality you choose to perceive and the way you choose to perceive it. You have constructed all kinds of mechanisms of perceiving and interacting with this reality, but there is no reason why you can’t shift in your state of consciousness and transition to perceive a different world that is beyond your current scope of perception. This is why Objective processes such as the Opening Procedure by Duplication and some forms of Creative Processes worked so well as it allowed people to consciously exercise perception construction mechanisms which liberated their CHOICES and SELF-DETERMINATION with respect to forming perception of something. Note, the notion of “inter-dimensional consciousness” is not at all that “remote” or “theoretical.” For example, some form of inter-dimensional consciousness is already being actively developed by the practitioners of Lucid Dreaming and OBE (out-of-body experience). OBE should NOT be confused with the phenomenon of “exteriorization” in Scientology, but the difference between the two is a subject for another discussion.